r: - - blue ? 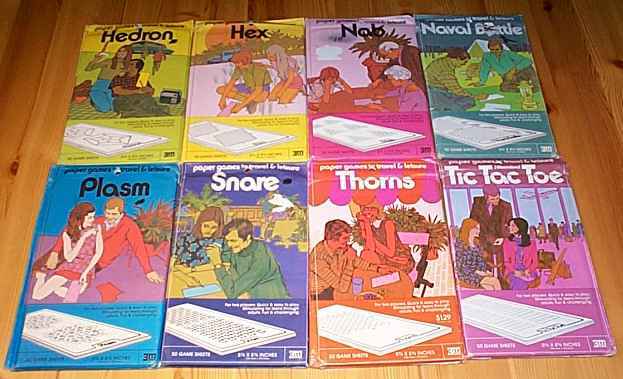 Paper game for two players. 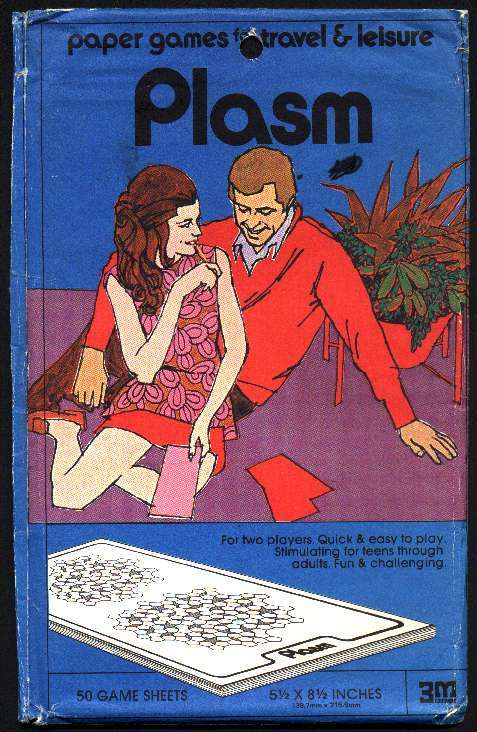 Plasm - For two players. A spreading, surrounding, swallowing game. Players score by surrounding the shaded areas of the board. 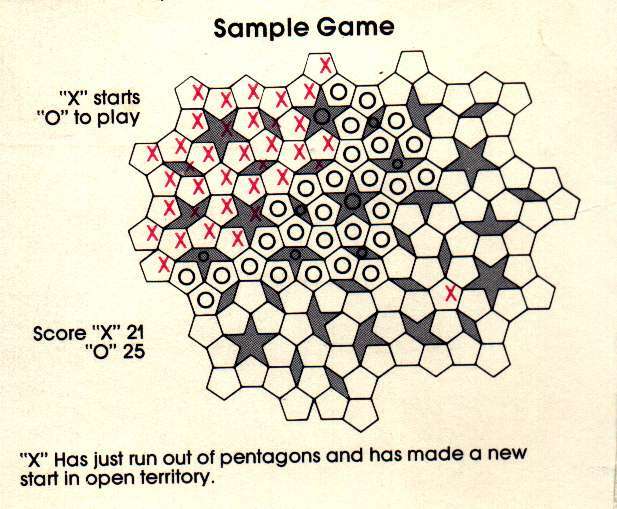 Players start by marking an "X" or "O" in one pentagon anywhere on the board. Each player´s move, thereafter, must be adjacent to one of his previous moves. 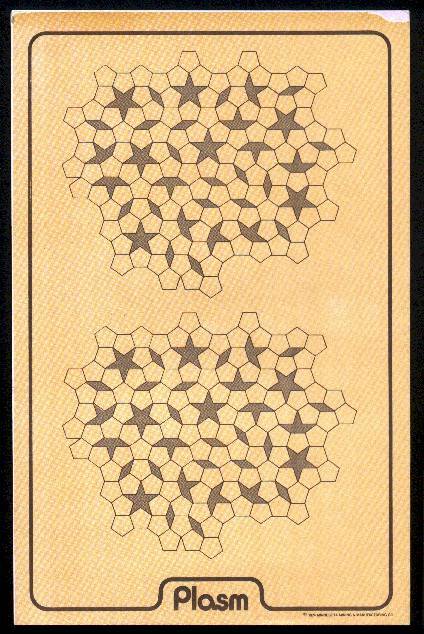 If a player uses all of his adjacent pentagons, he may play anywhere on the board; however, his following moves must be in adjacent pentagons. The use of different colored pencils is recommended. 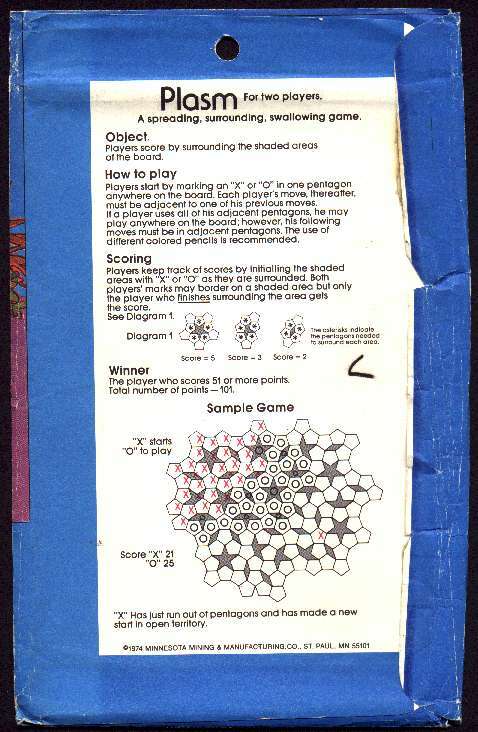 Players keep track of scores by initialling the shaded areas with "X" or "O" as they are surrounded. Both players´ marks may border on a shaded area but only the player who finishes surrounding the area gets the score. See Diagram 1. The player who scores 51 or more points. Total number of points - 101.